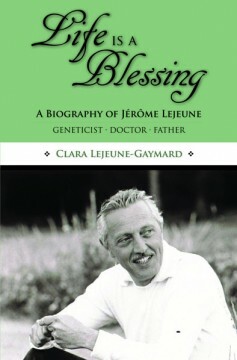 The father of modern genetics, Dr. Jérôme Lejeune discovered in 1959 the extra chromosome 21 responsible for the condition known as Down syndrome, which he called trisomy 21. He received many international awards, including the Kennedy Foundation Award and the William Allan Memorial Award of the American Society of Human Genetics. Inspired by a deep belief that a cure for trisomy 21 would be found one day and that medicine has a duty to serve society’s weakest members, Lejeune dedicated his life to research and to caring for the intellectually disabled. The Jérôme Lejeune Foundation continues his work today by serving thousands of patients with trisomy 21 and other intellectual disabilities of genetic origin, through a triple objective—research for treatments, medical care, and advocacy.